Electric and gas-powered motors are the two main types of lawn mower. The third type is the manual mower. Both the electric and gas powered mowers have features, advantages and disadvantages, depending on the intended use and lawn size. Electric mowers clog more easily than gas models when they are mulching grass or bagging clippings. Electric mowers have a hard time with tall grass; lawn owners can't let their lawns get overgrown. Gas mowers, more powerful than electric mowers, are better able to cut weeds. For those who habitually let their grass get too high, a gas mower is better than an electric mower. Gas mowers also handle wet grass better. Look for bagging and mulching options mostly on gas powered mowers. Electric mowers have fewer options and attachments. Some electric mowers are cordless, and run on rechargeable batteries. Electric mowers have lower emissions compared to gas powered lawn mowers and are quieter than gas powered mowers. Electric mowers have fewer moving parts. Gasoline mowers have longer operating distances and work longer before needing to stop. Gas mowers come in both front-wheel and rear-wheel drive options. Gasoline powered mowers require more repairs and more frequent maintenance compared to electric mowers. Electric mowers have trouble moving through tall or dense ground cover compared to gas mowers. Electric mowers can cover minimal ground without needing to be recharged or having the cord moved to a closer outlet. Gas mowers require more storage space for items such as fuel, oil and parts to maintain the motor. Electric powered lawn mowers are less expensive to operate overall. Gas mowers are more cost-effective for large lawns, hilly terrain and dense turf because of their greater horsepower. 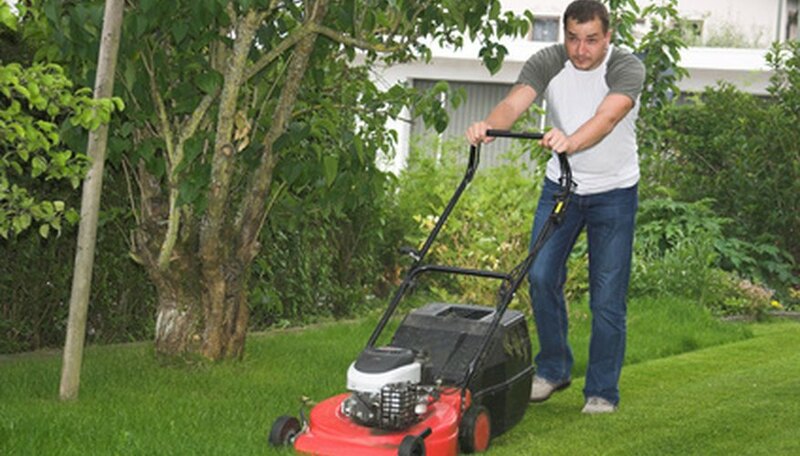 Use electric mowers when mowing is the only potential use of the mower. Use gas powered mowers when you need other functions, such as mulching or thatching.